There’s a new contender for the spiciest noodles ever; DaeBak’s new Ghost Pepper Spicy Chicken Noodles. Looks intimidating, doesn’t it? 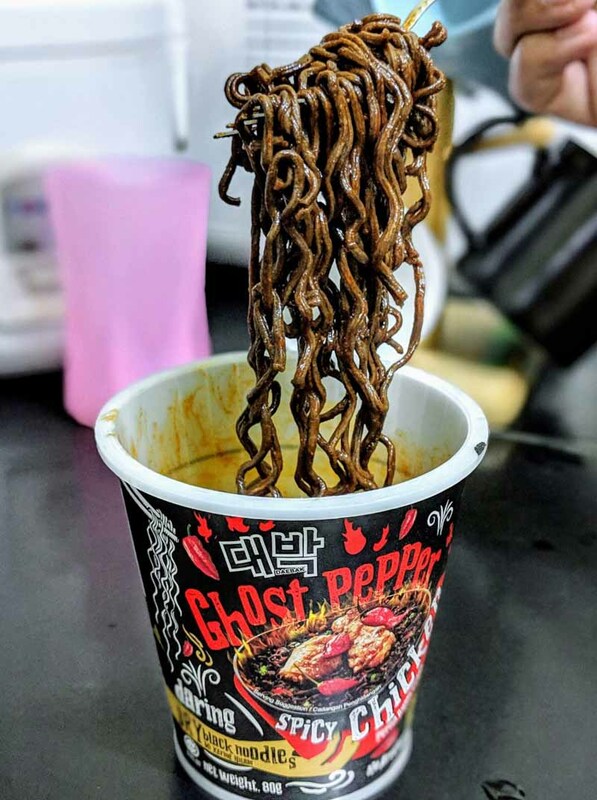 These noodles are infused with the formidable ghost pepper. If you are familiar with this condiment, you’ll know this is not for the faint-hearted. For reference, ghost peppers measure a whopping 1,000,000 Scoville heat units (SHU) on the Scoville scale, while your run-of-the-mill bird’s eye chilli only measures a measly 50,000 to 100,000 SHU. I can feel my stomach churning just looking at those slate-grey noodles. 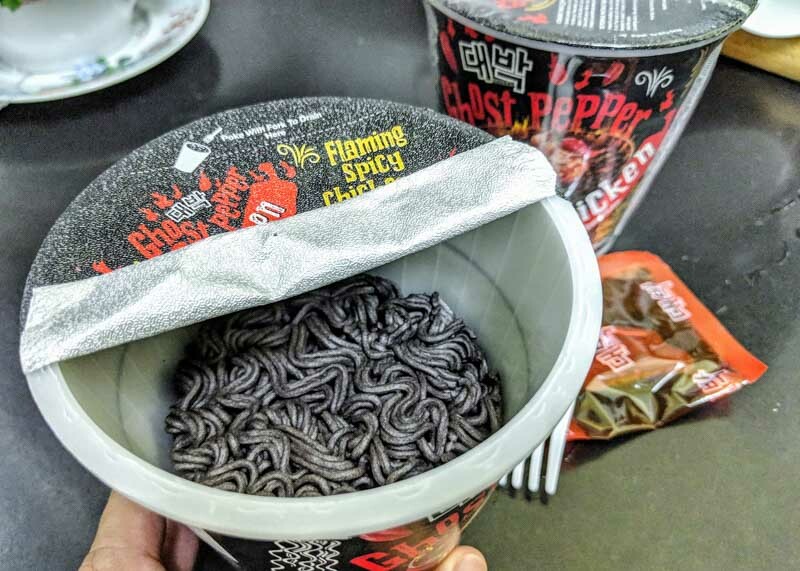 The Ghost Pepper Spicy Chicken Noodles are only available in 7-Eleven outlets in Malaysia for a very affordable RM5.80 (S$1.93). 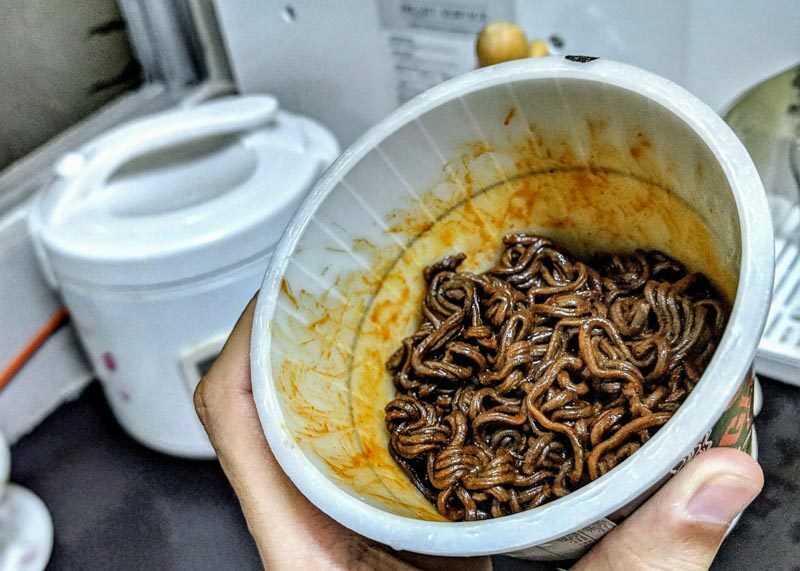 Word is that these noodles are a limited edition product and will only be available until May 2019. If you feel up to the challenge, a quick trip across the border will do the trick. Oh, and a tall glass of milk wouldn’t hurt.